For every order made through this online shop, the business relations between us and the customer are governed solely by the following terms and conditions, as amended at the time of order. 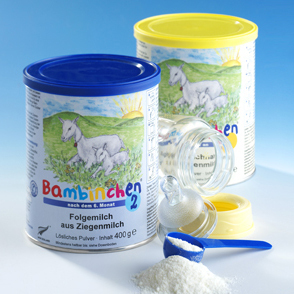 These terms and conditions are available at www.bambinchen.de by clicking “Shop – Terms and conditions”, and may be printed out via your Internet browser or stored on your computer. Images and photos in our online shop are for illustration purposes only. They are not always accurate depictions of the item, serving only as clarification. Depending on the screen used, colours and sizes may particularly vary. Only our product descriptions can be deemed definitive. Our catalogue and website offers are not a service in the legal sense, but rather a service invitation. By placing your order via the “Order and pay” button, you submit a binding offer to conclude a purchase agreement. Before submitting the order, you can view, change and delete your order details at any time. As soon as you send your order, you will receive an email confirming receipt. Your order is accepted, and the contract therefore validated, by virtue of the ordered items being delivered. Please note that your order data is saved by us, but can no longer be retrieved by you once your order has been placed. The confirmation of receipt does, however, contain all of your order details. We deliver to resellers under different conditions, which can be found in the separate delivery conditions for resellers. The delivery is initiated as soon as your payment is made. Our delivery time for items in stock is 2 to 3 working days when within Germany. Deliveries abroad may take up to 5 days. None of your ordered items are reserved until full payment has been made. We will immediately inform you if, at the time of full payment, the items have sold out and need to be re-ordered. We will immediately inform you if the goods become temporarily or permanently unavailable. Any payments already made will be immediately refunded. Within Germany: € 2.50 per order. Shipping to Austria: € 4.50 per order. All stated prices include the legal VAT, as well as all other price components, except the additional shipping costs. Deliveries are principally only made with advance payment/payment by PayPal. The goods are delivered once full payment has been received in our bank account as stated below or our PayPal account info@blauerplanet.de. Customers from within the EU do not incur any additional international transfer costs when using the EU international transfer form and stating their IBAN and BIC. Customers from other European countries must bear all bank charges. You are entitled to cancel this contract within fourteen days without stating reasons. The cancellation period is fourteen days from the day on which you or a third party appointed by you, who is not the carrier, take possession of the goods. In order to exercise your right of cancellation, you must inform us (Blauer Planet GmbH, Kirchweg 22, 34346 Hann. Münden – Hedemünden, telephone: +49 (0) 5545 1828, facsimile: +49 (0) 5545 318, email: info@blauerplanet.de) of your decision to cancel this contract, providing a clear explanation (e.g. a posted letter, fax, telephone call or email). You may use the sample cancellation form provided, though this is not mandatory. You may complete and submit the sample cancellation form or other clear statement electronically on our website www.blauer-planet.de. If you use this option, we will confirm receipt immediately (e.g. by email). Sending notification of your decision to exercise your right of cancellation before the cancellation period elapses will suffice to uphold the deadline. If you cancel this contract, we must immediately refund you all payments received from you, including delivery costs (except for additional costs incurred as a result of you choosing a delivery method other than the low-cost standard delivery offered by us), or within no more than fourteen days of receiving your contract cancellation notice. To make these refunds, we use the same payment method you used in the original transaction, unless we have expressly agreed otherwise with you; under no circumstances will you be charged for this refund. We can refuse to make the refund until we have received the goods back, or you have proven you have returned the goods, depending on which occurs earlier. You must return or send us the goods immediately, or within no more than fourteen days of you informing us of this contract cancellation. The deadline is deemed as upheld if you send the goods before the fourteen-day period has elapsed. You only need to pay for any lost item value if this loss can be attributed to unnecessary actions taken by you to check the goods’ quality, properties and function. – governing the delivery of newspapers, magazines or illustrated publications, except for subscription contracts. The goods shall remain our property until full payment. The legal warranty regulations apply. If the goods ordered by you are used for your own commercial or self-employed professional activities, your claims resulting from the legal warranty regulations expire after one year. The warranty is not affected by any guarantees made by the respective manufacturer or us. We are not liable for content on external websites to which we have created a link on our own website. All images and text in our catalogue and online shop are subject to copyright and other laws protecting intellectual property. They may not be copied, modified or used on other websites for commercial or circulation purposes. Your data is only used in accordance with the privacy laws. We guarantee your data will only be collected, processed and used to complete your order. It will never be shared with third parties. For further information on the type, scope, location and purpose of collecting, processing and using the personal data required in order for orders to be placed, please read the privacy statement. German law applies, under exclusion of the UN convention on the international sale of goods. The place of jurisdiction for business transactions with merchants is the Hannoversch Münden District Court. We are also entitled, at our discretion, to file action at the customer’s headquarters. If a provision of these terms and conditions is or becomes invalid, this shall not affect the validity of the remaining terms and conditions. In accordance with Art. 54 of the German Food Information Ordinance (LMIV), products may be sold with their previous labelling, which is why packaging may differ from the LMIV specifications. For detailed product information, please see the packaging of the product purchased.